National Nutrition month is coming to an end, but don’t let your healthy ways stop there. If you participated in National Nutrition month, keep it up! If not, it’s never too late to start. Here are a few tips to help you stay on track or to help you jumpstart your healthy routine. Drink plenty of water or other calorie-free beverages. Sometimes our brains can confuse hunger for thirst. Next time you feel a craving coming on, drink an ice cold glass of water first to curb your appetite, rather than filling up on unnecessary calories. Also, water is a natural detox helping to flush out toxins and keeping bowel movements regular. 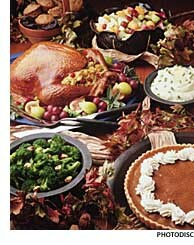 Enjoy your favorite foods, in moderation of course. Often times completely cutting out our favorite guilty pleasures will only cause us to binge on them later, ruining all the healthy eating you’ve been doing. Instead do not completely deny yourself a chocolate chip cookie or that slice of pizza. As long as you’re doing it in moderation you can still enjoy your favorite snacks. Eat several mini-meals a day. 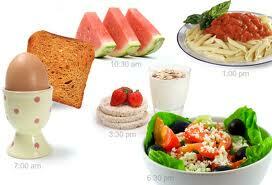 Studies show that people who eat 4-5 smaller meals throughout the day have more success shedding extra pounds. Grazing throughout your day will help to keep your metabolism humming and will actually help to burn more calories and also curb cravings. Include fiber in your diet. Fiber has many benefits such as aiding digestion, preventing constipation and lowering cholesterol –and also helping with weight loss. Women should make sure to get 25 grams daily, while men need about 38 grams. Oatmeal, whole grains, beans, fruits and veggies are all rich in fiber. Get enough sleep. When your body is sleep deprived it overproduces the appetite stimulation hormone ghrelin and under-produces leptin, the hormone that lets our brain know we are full. Getting enough sleep will not only keep you from doing unnecessary snacking, you will feel more well rested making you more inclined to exercise. Limit alcohol to weekends. Alcohol contains empty calories, which our bodies to not use very well and often get converted directly into fat. A five-ounce glass of wine contains about 125 calories and a bottle of beer has about 153 calories. To help to limit your intake of alcohol, try just allowing yourself to indulge in a glass or two of your favorite alcoholic beverage on weekends only. 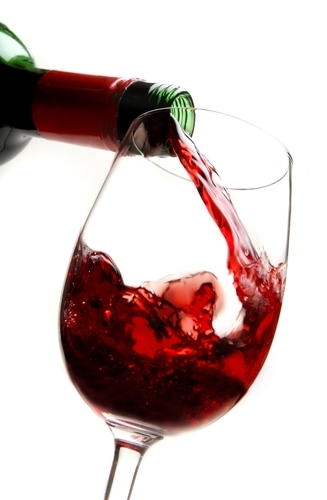 Red wine even has heart healthy benefits!